Is Colin Kaepernick REALLY Being “Blackballed” by the NFL? Disclaimer: I am taking the most non-political, football-only approach to this story. 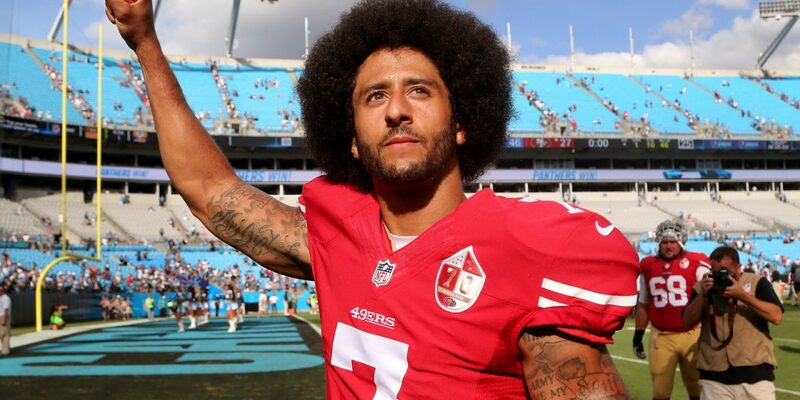 Colin Kaepernick, now a 30 year old free agent Quarterback, played his whole career up to his release with the 49ers, including a Super Bowl berth in 2012/13. The promising, young, electrifying, dual threat QB was just entering his prime, when suddenly the football aspect of his career was completely thrown out the window. During the preseason just a few seasons back, Colin took an extremely controversial stand for what he thought was right and stunned the nation. Kaep peacefully protested versus the National Anthem sparking a huge movement over the NFL, and Sports world during the past two years. We haven’t seen Kaep confidently take the field since, and he’s currently sitting unemployed. When you dive into simple and advanced analytics behind Kaep, it’s evident that he qualifies as a sure fire NFL starter, or mid-tier guy at the least. But still, Kaep is sitting on the street waiting for a call. And to be real, it doesn’t take any of the calculations to show that he is a starting caliber QB, because from a common sense, football standpoint; he is. NextIs Baker Mayfield Really “The Next” Johnny Manziel?